Which worked pretty well, but not perfectly. It needed better adhesion to the shelf, and small hairline cracks would occur in the valleys of the brush stokes. Also, I have a problem with brush stokes being there at all. They cause an uneven surface than can warp or even crack my pots if undue friction occurs between the shelf and the shrinking pot. This is where I started to think that perhaps the solution would be to deflocculate, or disperse the kiln wash, making it crack less because it shrinks less (because deflocculated slurries require less water for the same viscosity), and will greatly improve the slurry’s brushing qualities allowing for a nice even coat. Have you ever noticed how kiln wash dries almost the moment it touches the kiln self, making it nearly impossible to make an even surface? Well, when you deflocculate the kiln wash, it remains a smooth, beautiful, wet puddle on the surface, almost like the shelf has been dipped in white chocolate. Here is the recipe that I developed over the course of about 6 months and 15 or more firings. It now works perfectly and I see no need to improve upon it. First put the water in the bucket, then add the Darvan. Mix thoroughly with a drill mixer. Add the EPK and mix that in, then the Glomax, then the Alumina Hydrate. Mix for about 5 minutes. If you dip your hand with fingers spread and quickly remove it, the wash should web across the negative space while running off the fingers. Sieve it with a 60 mesh screen. Yeah, that’s right, I sieve my kiln wash. The whole point is to get a smooth surface. I like to check the specific gravity of the mixture to make sure things stay consistent from batch to batch. The best way to do this is to use a Syringeto draw 50ml from the bucket. Squirt it into a cup that is on a scale which has been zeroed out with the cup on it. Weigh the slip. Mine weighs 86g. 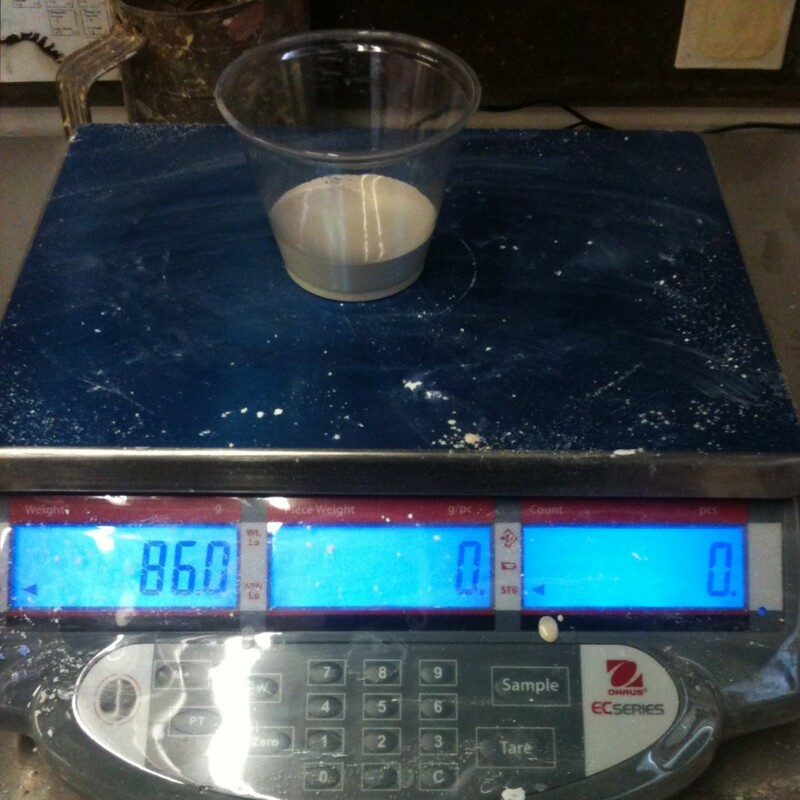 To get the specific gravity, or the g/ml density, just divide the 86g by the 50ml. That would mean that the specific gravity of my kiln wash is 1.72 g/ml. Knowing this allows me to do some quality control and to repeat my results over and over again. If the specific gravity is too low, I know it needs less water, so I can add powder dry mix. If the wash is too thick, I can weigh it and see if I need to add water or just a few drops of Darvan to make it runnier. 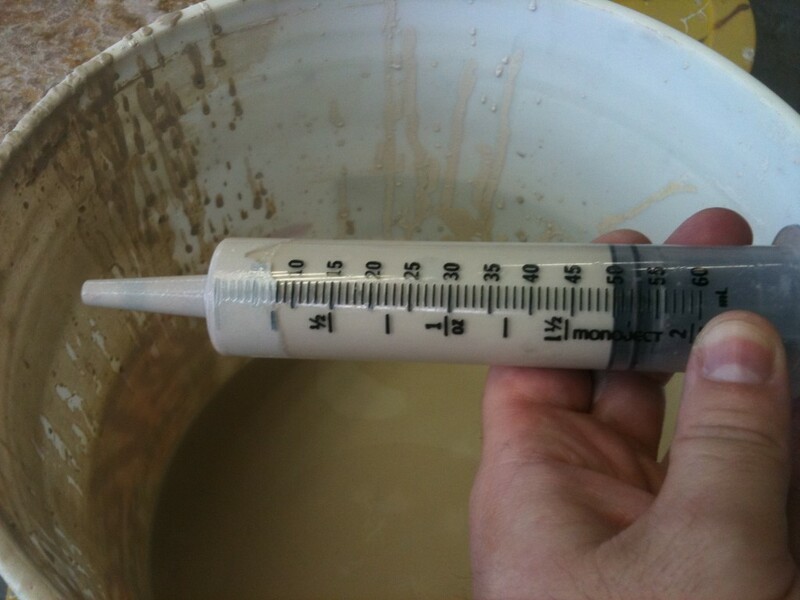 Logging the specific gravity, by the way, is the BEST idea for glazes. Ever get that perfect thickness worked out only to not quite be able to repeat it? Specific gravity my friend, specific gravity. Write it on the side of the bucket, check it before you dip, never mess up another pot (or kilnload of pots) with a fresh bucket of your favorite glaze. To apply the wash, you must first take every little bit of the inferior wash off the surface of the kiln shelf however you can. I will do another post on the best tools for this job, but for now, a scraper, a rub brick, an orbital sander, and an angle grinder are the best things to use. Get it down to the bare shelf surface. I started with brand new kin shelves this time, lucky me. First get a large sponge very wet, almost dripping, and sponge off the surface to be washed. This not only removes dust and debris allowing better adhesion, but also slows the absorption of the kiln wash, which will be important for the self-leveling. 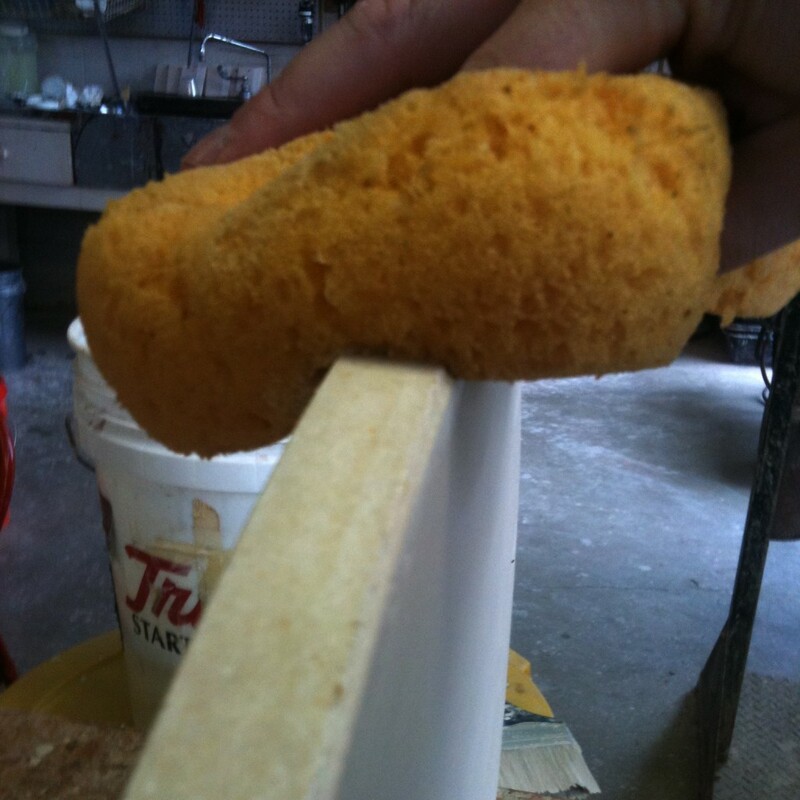 Immediately after you sponge, brush with your hand to remove the sponge leavin’s and apply the wash. I soak a medium sized, natural fiber, soft paint brush with wash and drizzle it, numerous brushes full. The idea is to get a continuous puddle of wash to cover the whole thing. There should be enough that the wash stays wet on the surface for several minutes. Try to vary the direction of the brush movements. You’re done when the puddle is smooth and even. Let it dry until it is no longer shiny on the surface. Stand the shelf up on its edge and carefully sponge every last drip off of the edges, and make sure the bottom is totally clean as well. 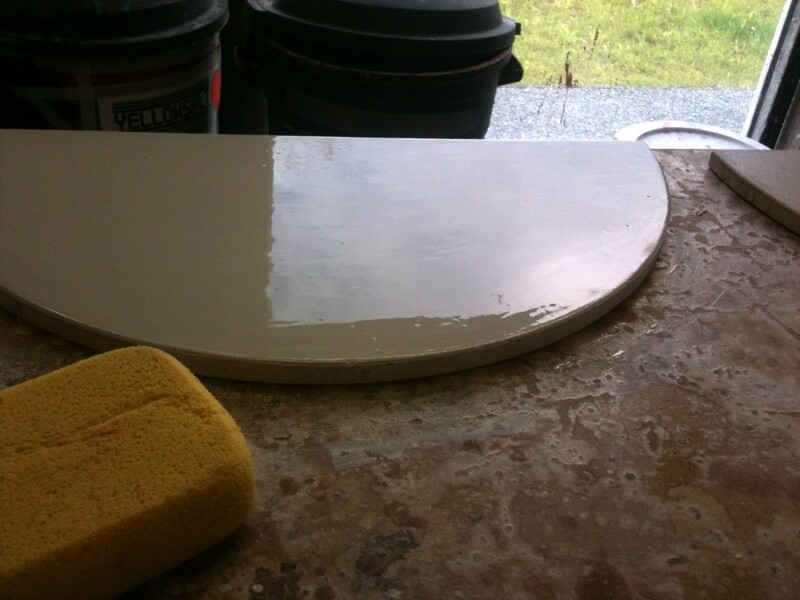 Carelessness in this part will almost certainly ruin some work by raining little white flecks onto the glaze below. The number one rule is to NOT do this right before or as you are loading the kiln. Allow the wash to slowly and fully dry before firing. 2-3 days at least. So you might be thinking right now that I’ve completely lost it. That this is just kiln wash, who cares? Who has time to be that meticulous? It is my thought that being meticulous and doing things right up front may take a bit or even a lot longer in the short term but in the long term it will save a LOT of time, and some major headaches or even crying sessions/temper tantrums. 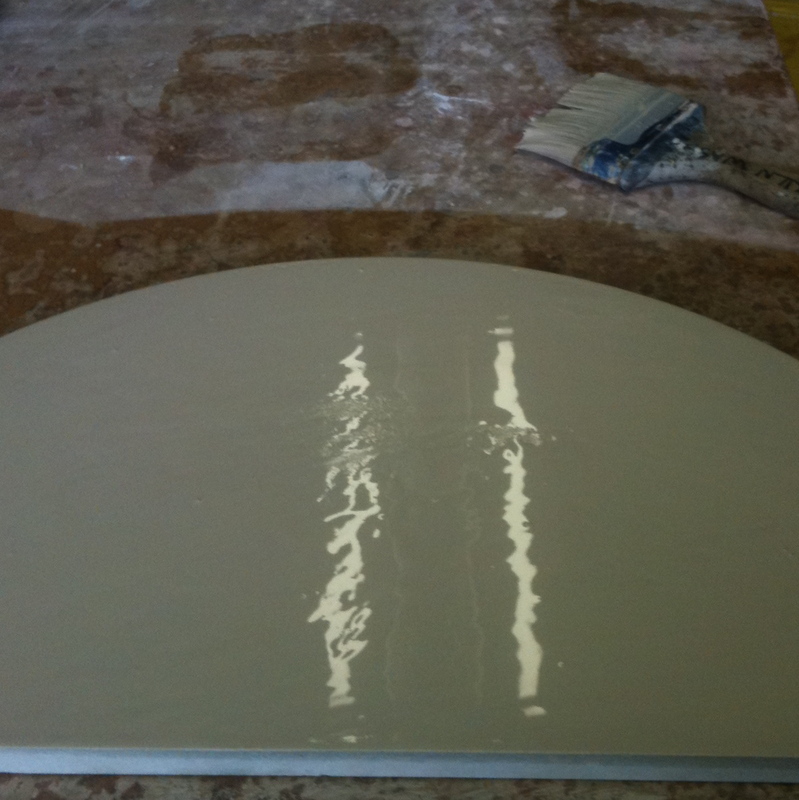 No scraping and chipping between firings, only if a glaze actually runs would there be any work to do. The even and uncracked surface is more effective and can withstand some serious puddles. No more losing pots to kiln wash flakes landing in them, no more losing pots from warpage and stress cracks caused by uneven surfaces. No more losing pots because the kiln wash peeled up and stuck to the underside of your pot. Stay tuned for my development of spackling to full in places where the glaze took the kiln wash off. Now that I got this part figured out, that is my next project. This is AWESOME, Jeff, and awesome of you to share. Defloccing was a stroke of insight. So I take it you wouldn’t want to flip these shelves (to counter warping over time) since you take such care wiping off the sides and undersides? Flipping is a good idea, but I wait until the shelf needs to be ground down anyways, maybe every 15th firing or so, bring it back to bare shelf and then flip and wash the other side. When you only fire to cone 6 like me, shelves don’t warp very much if at all, but flipping is essential for high fire in my opinion. A warped shelf is worthless unless you want to wad everything as you load. 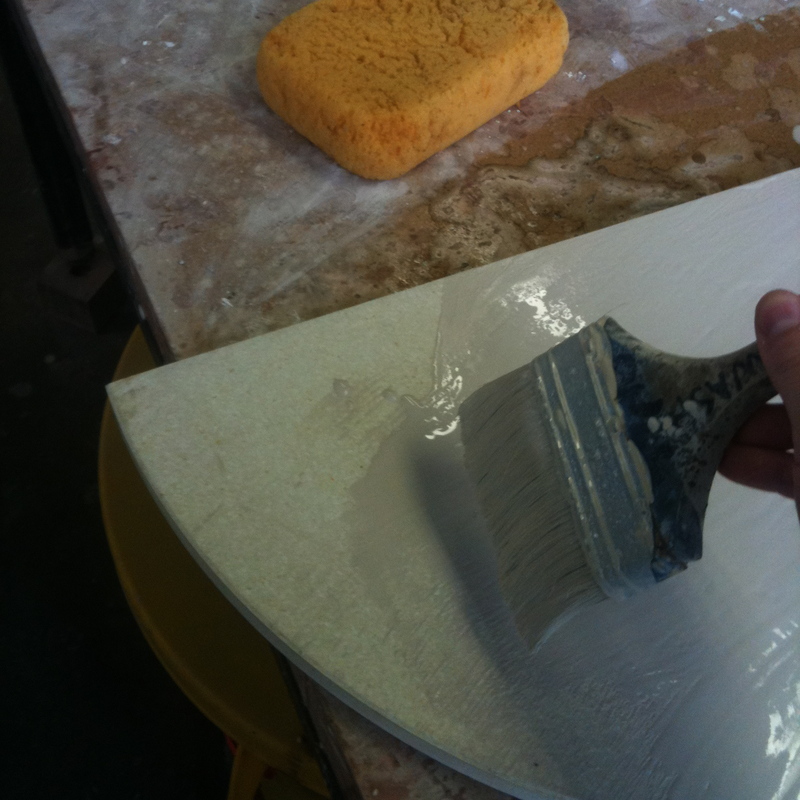 To be clear, the application part is just as easy as regular kiln wash, perhaps easier. This stuff won’t come off with just a scraper, though, it needs power tools. Wow, Thanks Jeff, This is awesome. I can’t wait to try it out. As a ceramics teacher getting ready to install a brand new kiln in the next month or so for our new ceramics program, I thank you IMMENSELY! This will probably save me many a kiln shelf, and many student’s projects. Do you mind if I just cut and paste the recipe and instructions for my own files? Is -that- what causes the tiny rough white bumps on my glazed pieces? I’ve been seeing it a lot lately and trying to figure out if it was contaminated glaze or what. Being in a community studio, there’s about zilch I can do about it, except sharing this post and hoping for the best. If they think it might save them some work, they might just do it. 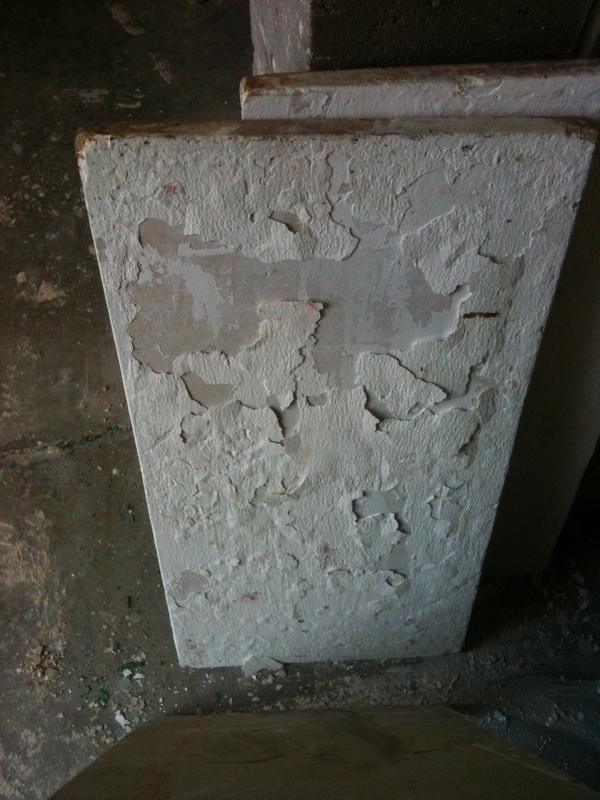 Saving this away for the day I get my own kiln– Brilliant post. Robert, yes by all means use this info. Brian – Yes that is definitely what those white porous bumps are. The flakes come off the top of one shelf and cling to the bottom of another during storage, then fall on the pot during the firing. Jeff, great post! I completely agree with you that the work upfront will save in the end, likely at the most crucial time. I’ve also heard of adding some type of pyrophyllite (maybe Pyrax) to the mix which could help with the thermal shock and adhesion. But at this point, seems like you’ve worked out a great solution, and if it ain’t broke, don’t fix it. Really?!?! Wow, I thought I could probably market it. Then I thought maybe I could just tell people how to do it, which would be easier for me and them. This is such welcomed information. In no way did I come close to thinking you “lost it”. Quite the opposite. I find your precision refreshing. I’d rather grind kiln shelves once in a while than grind the bottoms of my pots! You make checking specific gravity sound easy. I have just been using my intuition, which takes a lot of trial and error as each glaze is different. Can’t wait for the spackling info. Thanks! I am taught that real potters (and decent human beings for that matter) share their information with full detail and clarity. Being a studio tech at a university, I understand the importance of protecting kiln shelves from Ceramics 1 students (no offense to any of you) and the appreciation of a good wash. Thank you, Jeff, for so generously sharing this information with the world. Thank you very much I can’t wait to try this I just ordered everything I need. Hi Jeff. 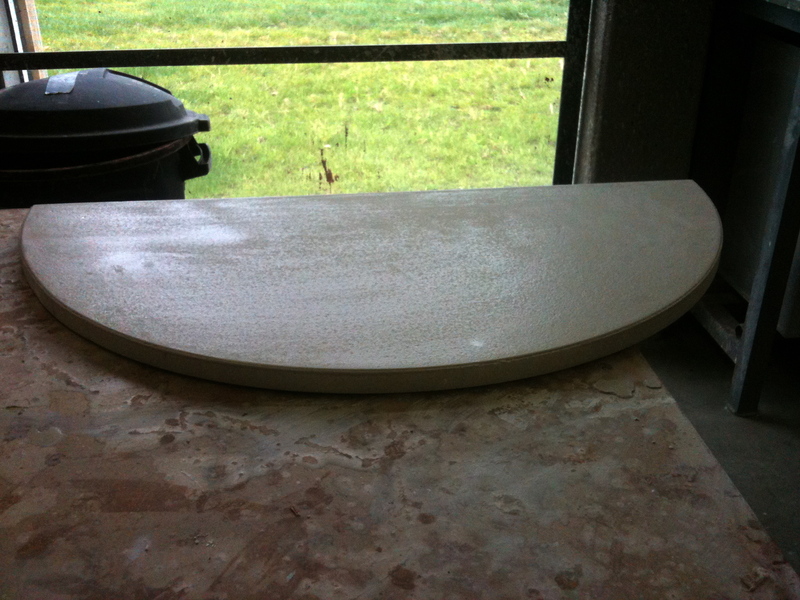 I convinced our studio owner to use this recipe on our new kiln shelves and it worked…sort of! After one firing, we saw slight crackling on some of the shelves. The wash still holds onto the shelf but we’re worried that after time, the crackle will just crack and peel off. One of the 10 shelves actually did start to flake off heavily…although nicer than the normal “surface of the moon” kiln shelves. Have you encountered any crackling on your shelves? If so, any remedies? We’re about 4 or 5 firings into the new shelves and love it…but are just worried about the crackle. I had a bit of that too, but it does not fall off. I just upped the glomax by 5% at the expense of the EPK as Britt mentions to do in the original article that spurred this, worked for me. For one that is flaking heavily, I am guessing that it was not totally clean, or that it had been fired so high at one point that it is no longer pourous and is repelling the wash. Just a guess though. Thanks Jeff!! We’re going to try upping the glomax on the recipe and see how things go. Not sure about the one that flaked a ton because we were using new clean shelves with this wash. And the first firing it went through was a ^06 bisque which isn’t a super high. Will update with the results but thanks for the help and the recipe!!!!!!! Thanks this is so helpful. Love that you added pictures. Does anyone know if the flakes are toxic? I had a student make an awesome mug, but a small flake fell inside of it. He wants to use it and I don’t know what to say to him? If he reglazed is, will the flake matter? The flakes do not bring toxicity concerns. They are made up of silica and alumina, both non-toxic. The flakes are still soft after firing and will break down over time, as well as absorb liquid, which could get gross with heavy use. Glazing over them should work in terms of utility, aesthetic repair will require a dremel a refire. Hi- have you used this on Corelite shelves ever? and I can only see Darvan #7 aas a liquid? Where did u source it as a powder or what’s the ratio of the liquid. I have used it on basic solid cordierite shelves with great success, and those new cheapo Nitride-bonded silicon carbide shelves. It only works on the latter after they have been fired once, otherwise it flakes off extremely. Must be some sort of coating on them or something. It seems like it should work with Corelite as it is a similar material to the cordierite, but like with everything, I would do one as a test before I commit a whole afternoon to grinding and rewashing. Darvan – use 1/8 % by weight to start, and add as needed up to 1/4 %. It only comes as a liquid, but I weigh the liquid rather than going by volume for some reason. Good post. I struggled with this as well before finally going with SiC shelves. SiC performed better than alumina regarding glaze adhesion, but mostly I used them to provide a lower thermal mass, as I need fast heating and cooling. For kiln wash on alumina shelves, a small amount of Defloc worked well for me also. I would first mix & sieve the wash, then use an HVLP spray gun to apply several thin layers on a warmed alumina shelf, waiting about 30-60 seconds b/t coats (just enough for the wet sheen to disappear, but NOT dry completely). Depending on the season, I’d use the sun or my kiln to warm the shelf first, then spray a fine even mist of warm water, and finally apply the kiln wash. This process would cause the water from the wash to be pulled into the shelf, and create a tighter clay particle formation (the same as when slip is cast in a plaster mold). Great site Jeff, glad to see you’re doing well! What are Glomax and Darvan? Do you know what glomax is? Is there some equivalent available in the UK? Thanks Jeff for this great information. I just purchased a beautiful used kiln and was looking for a way to clean up the shelves. Can’t wait to begin. Nice work Jeff. A great addition to the formula would be some milled Zircon. Highly refractory. Also, FC340 Ball Clay from Old Hickory is specifically developed for casting slips and is also a great addition, say split the EPK or Glomax content with it. Thank you very much Jeff for sharing with us your experience. This is a real help as the same problem occurs to me and I did not know how to do to avoid it (I am a newborn potter). thank you very much for sharing so valuable hints with us. Thank you for sharing this recipe! Have you heard of anyone trying it for fusing glass? My shelf has an uneven texture from being ground flat by the manufacturer and a thin shelf primer does not conceal it? This sounds like the perfect solution. I flip my shelves on bisque firing. I also fire to ^6 so it probably the case that my shelves are staying flat because of the lower temperature firing but the studio which also fires to ^6 and does not do this does not have flat shelves. You are an absolute diamond, both for taking the time to create this kilnwash and also for sharing it with other potters. Thank you. Thank you. Thank you. I can’t wait to try it out for myself. Thank you so much for sharing this knowledge. we are going to institute this campus wide for all of our kilns at Medalta! by the way….love your work. Do you reapply the kilnwash after each firing? Great article. I’m looking forward to trying the recipe. I’m glad to know i”m not the only person fussy about kiln washing. Thanks! I tried the kiln wash for some new shelves and it went on very thick. I tried watering it down for a smoother application which seemed to work. However, after a day or so of drying the wash cracking and flaking off the shelves. I have to take it all off and re-do, but was wondering what I should change? The batch of kiln wash that i mixed up has settled at the bottom of the container, which is strange since I put Darvan 7 in the mixture as directed by the recipe. Does it need more Darvan? I also found that as I was applying the kiln wash I would need to mix it every 30 min or so because there would be some settling at the bottom of the container. It sounds like you mixed it up too thick. That is one reason I recommend trying one shelf and see how it goes before doing all of them. It does settle. I usually mix 1000g batches to do 8 or so shelves instead of doing a whole bucket that I need to re-mix all the time. It probably just needs a bit more water mixed in. Maybe try a density of 1.6 g/ml. If it is brand new nitride-bonded shelves, that might be a problem too. I had issues with that when I tried it. It worked after I fired them though. Also, maybe try working faster. The shelf might be sucking up moisture too quickly and thus making a layer that is too thick. If you can troubleshoot and figure it out, it will be worth it. No, I usually strip the shelves and reapply every 8-10 glaze firings. 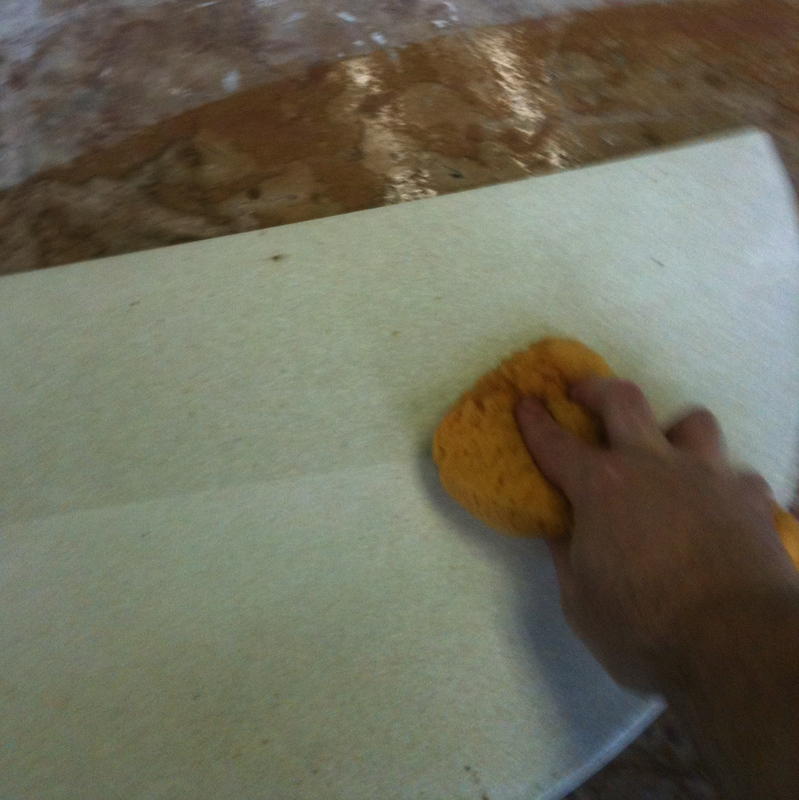 Applying layer after layer is what causes those disaster flake shelves. This stuff should stick on there for a long time. when I have a glaze run, I just leave the little spot and then just be careful not to stack on the gap in the kiln wash. I am working at MIY Ceramics in Florida I recommended your Kiln wash to the studio owner. The owner keeps sodium silicate in stock and is reluctant to stock a second type of deflocculant. What is the reason your recipe names Daravan 7 as the deflocculant? Can Sodium Silicate be substituted for Darvan 7 ?